For fans of "The Age of Miracles" and "The Dog Stars," "Black Moon" is a hallucinatory and stunning debut that Charles Yu calls Gripping and expertly constructed. He ventures out into a world ransacked by mass confusion and desperation, where he meets others struggling against the tide of sleeplessness. Chase and his buddy Jordan are devising a scheme to live off their drug-store lootings; Lila is a high school student wandering the streets in an owl mask, no longer safe with her insomniac parents; Felicia abandons the sanctuary of a sleep research center to try to protect her family and perhaps reunite with Chase, an ex-boyfriend. All around, sleep has become an infinitely precious commodity. Money can t buy it, no drug can touch it, and there are those who would kill to have it. However, Biggs persists in his quest for Carolyn, finding a resolve and inner strength that he never knew he had. KENNETH CALHOUN has had stories published in "The Paris Review, Tin House," and the "2011 Pen/O. Henry Prize Collection," among others. He lives in Boston, where he is a graphic design professor at Lasell College. 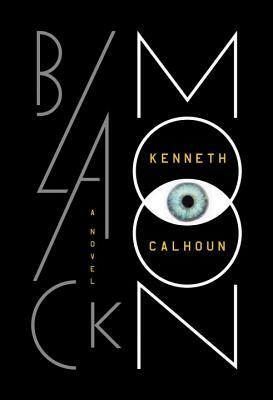 "Black Moon" is his first novel.